Need to get your glam on to give your confidence a quick lift? 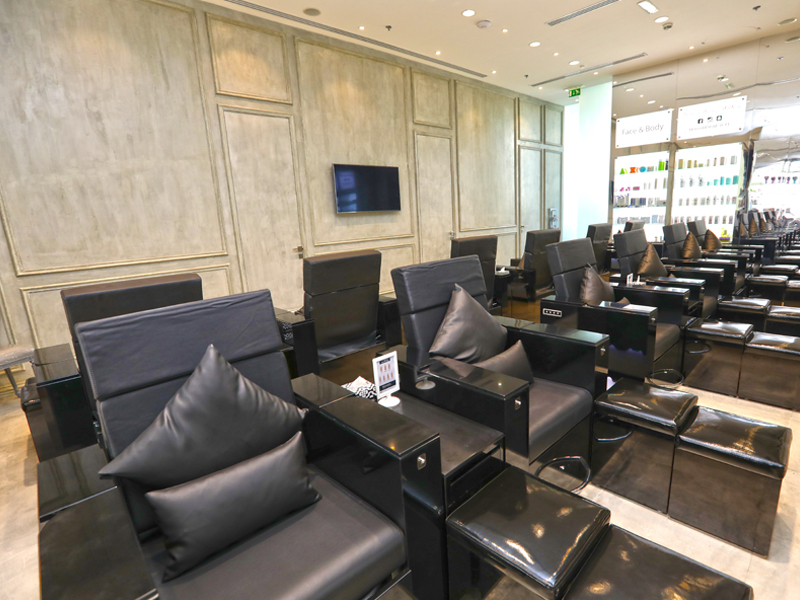 Make an appointment for some pampering between shopping at the Bedashing Beauty Lounge, a trendsetting beauty lounge, hair and nail salon esteemed for its award-winning beauty services and unique ambience. Bedashing lounges offer a complete beauty experience, where guests are treated to the latest beauty treatments by cheerful, professional Beauty Squads in a welcoming environment where the beauty needs of the modern woman are well understood. For instance, you may want several treatments done, without delays or having to move from chair to chair. 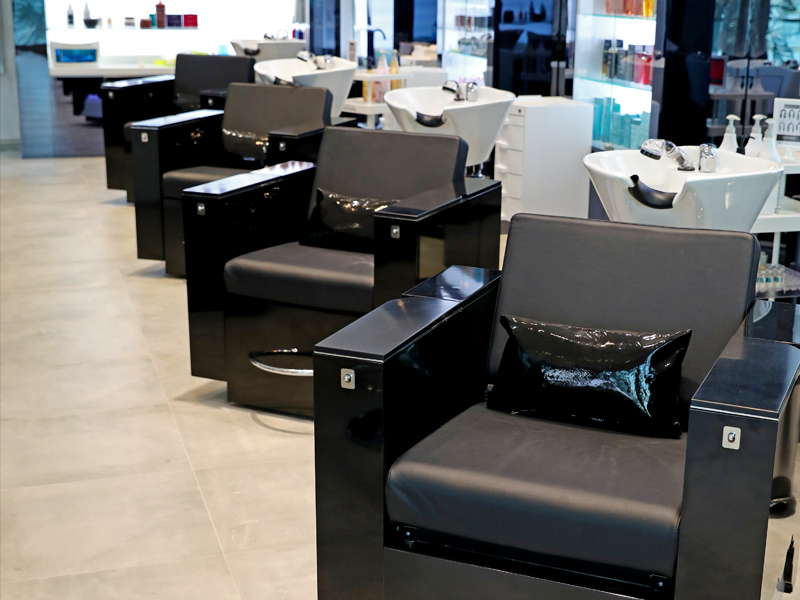 With Bedashing’s signature Bedashing Chair, developed by founder Noor Al Tamimi, you can have a hair-wash, blow-dry, manicure, pedicure, facial, brow shaping, threading and eyelash treatments done simultaneously. And on the Bedashing Bed, you can have a facial, lash extensions, manicure, pedicure, full body waxing, halawa and brow shaping done in a similar fashion. Just sit back, relax, and soon you’ll step out looking and feeling your best. Nail stylists bring the latest trends right to your fingertips, and you can have your makeup done professionally to ‘wow’ at your next social event. Started in 2008 as Dashing Nails, Bedashing Beauty Lounge is in line visions of expansion to serve a wider market across the region. 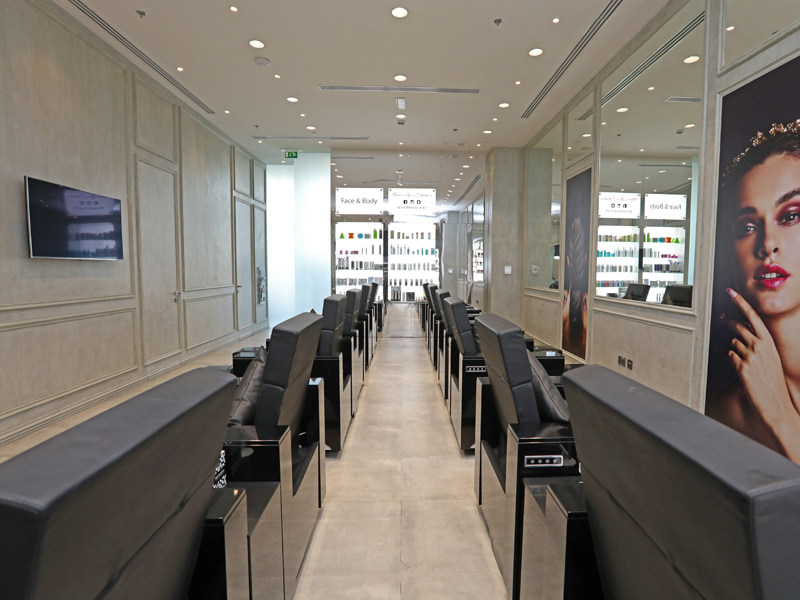 Bedashing Beauty Lounge City Walk is one of eight Bedashing Beauty Lounges in the UAE.